Hi! Hi! 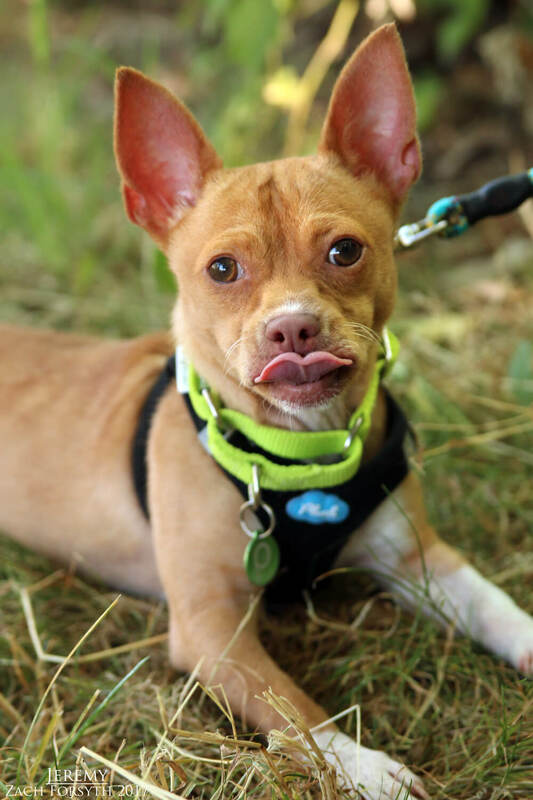 My name is Jeremy and I am bouncy and full of fun 11 month old Chihuahua/Terrier mix. Weighing in at 12lbs, I may be small, but I am ready to take on the world! 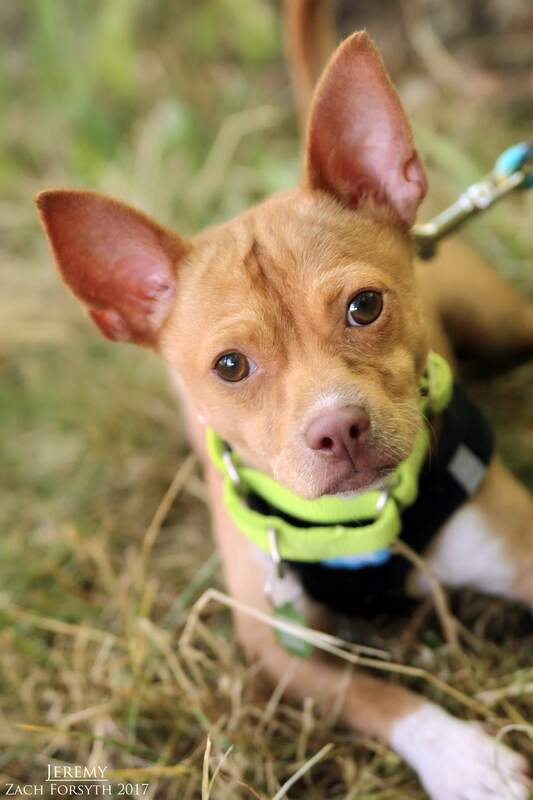 I have lots and lots of that fun puppy energy that keeps me going and I would be a great little active companion for hikes! Just need to learn some of those basics first, as PUPPY CLASSES ARE MANDATORY FOR MY ADOPTION! But I am very smart and food driven, which makes me a quick learner! I am social guy who is ready to play with anyone from my human pals over 12 to my young puppy pals. No kitties in my home please! I really enjoy playing with my squeaker toys, though fetch seems to be a foreign concept. I just like taking the toy and running! Ha! I am a hilarious little bundle of energy who is ready to explore and play, and pass out on your lap at the end of a long active day. I really am a hoot! Fill out an application today, so we can get to started on that play! I come to you neutered, vaccinated, and micro-chipped with an adoption fee of $300.